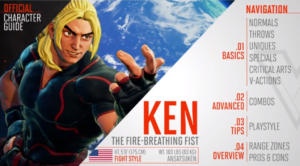 These videos aim to cover the gamut of a fighting game by offering character breakdowns, system mechanics, and basic strategies that will help you gain a better understanding of the fighting game of your choice. Most of these videos will be the introductory so its important that you subscribe or visit the channel if you want to see the rest of the videos. Some of you may just be getting into the King Of Fighters series for the first time with the release of XIV so this video is certainly one you should watch. The Beginners Incomplete Guide To KOF created by Dandy J takes you through a few basic concepts that are unique to the KOF system. It is also a great refresher for those who have been out of the KOF loop for some time. Norviltataki creator of the Guily Bits series has returned with a new tutorial for Guilty Gear Xrd. In an effort to help beginning players get a broader understanding of not only Guilty Gear but universal concepts they have created a tutorial titled crash course. You will be expected to not only look at the videos but immediately start to put the concepts into practice after each episode gradually learning to play the game as you move along. Make sure to subscribe to Norviltataki for more episodes in the series. With the recent release of UNIEL, some may be scratching their heads as to how the GRD system works. Unfortunately, there are not any in-game tutorials available but your in luck as Fargarach has translated an introduction to the basic system and mechanics for the game. Subscribe to his channel to check out part two and more!! Vesper arcade created a Street Fighter IV Bible that covers everything that is involved in the new street fighter series. He also covers techniques like buffering and p-linking which will help your execution in this game a very great deal. It was this video that convinced me to use a joystick instead of a game pad and after you watch these videos you may be convinced to do so also. 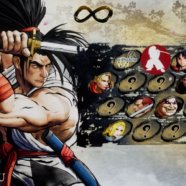 Juicebox, a well known Street Fighter IV pro player, has taken a very big shine to KOF XIII and is doing all he can to promote the game by giving tutorials on most of the characters cast as well as system mechanics that are involved in the game. He has titled the series of videos Juicy Bits and they are available on his channel so subscribe as he updates very frequently with new content. Rip, MYK, and Bobino are all c0mpetive Tekken players and they have created countless content in regards to the Tekken series. This time they have teamed up with Namco Bandai to bring you tutorial videos for the latest entry in the Tekken Franchise. The teaser of the new Guilty Gear Xrd has created a lot of buzz within the community. As a result Tasty Steve and Genesis, two competitive Guilty Gear players, are giving you an introduction into the fast paced air dashing world of Guilty Gear. They will be covering the game system as well as some of the meta game that has been created over the years so its definitely worth checking out for those interested in what Guilty Gear is all about. novriltataki has created a video tutorial that is covering all of the characters within Guilty. Definitely worth watching especially for those who want get ready for the new guilty gear coming in 2014. Subscribe as he is still updating this series. Probably one of the most entertaining tutorials ever to grace youtube, the Assist Me Series created by the Online Warrior Maximillian covers characters from the Marvel vs Capcom 3 to Ulitmate and some of the older Marvel Vs Capcom titles as well. The Assist Me series has been well over two years since its inception and is still going strong as it continues it’s goal of covering every character within the game. It’s definitely worth the watch for any Marvel vs Capcom fan and a great place for beginners to learn a few things about each character in the game.